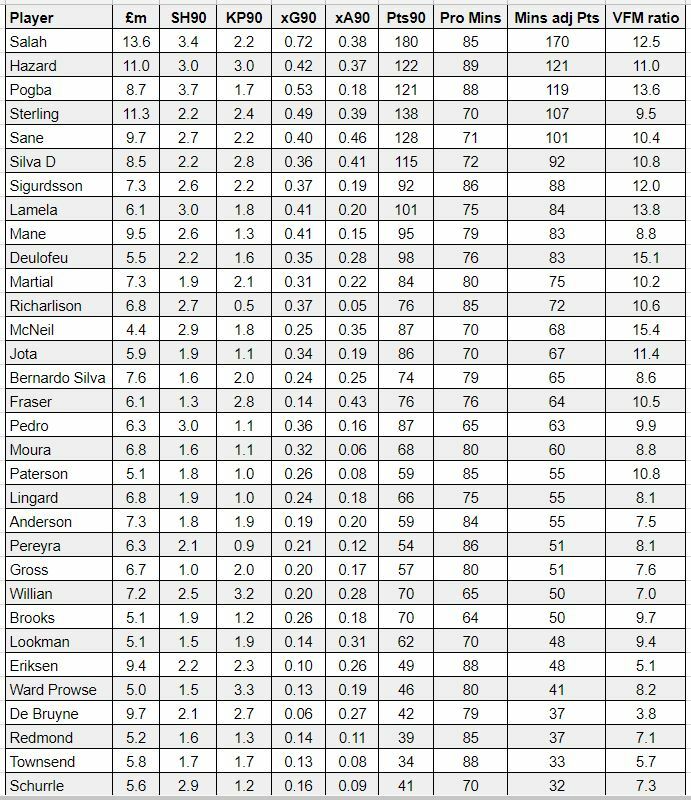 Here’s our FPL underlying stats GW24 article where we present expected goals/assist information as well as shot/key pass stats up to and including GW23. We look at stats for individual players by position. Expected goals (xG) and assists (xA) is a stat where the probability is evaluated that any given shot or assist of a shot will end up as a goal. 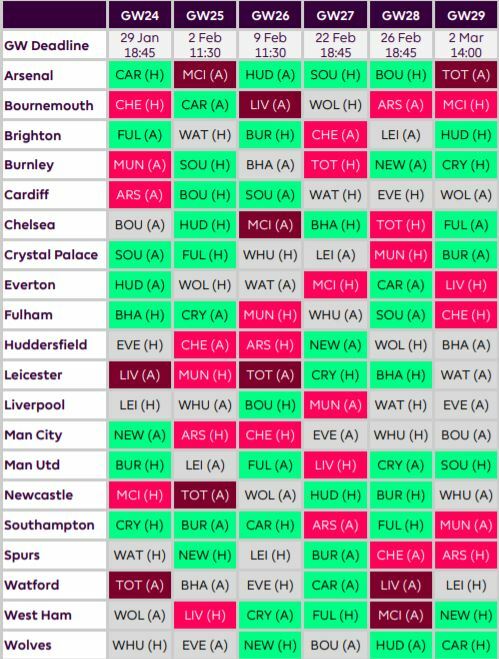 Here I’ve taken the xG90 and xA90 and turned them into projected attacking FPL points for the season. No appearance points or clean sheet points or bonus just the basic goal and assist points. 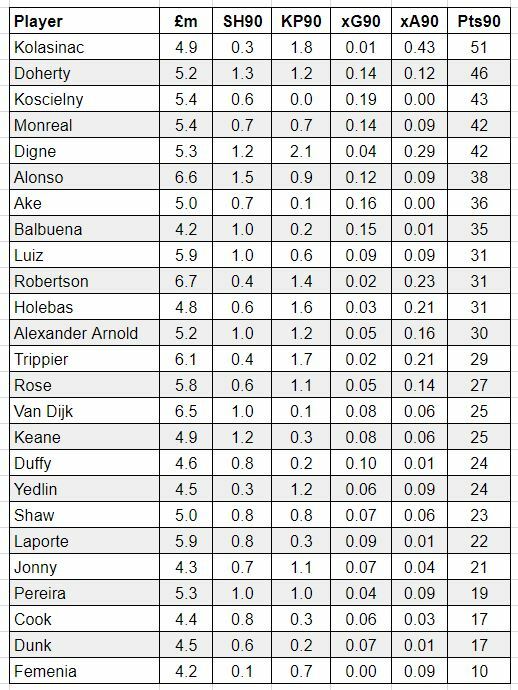 I’ve included the penalty part of xG for those players who are the designated penalty taker. I’ve then adjusted midfielders and forward for the minutes they would be expected to play in each game. Generally by taking the average of the last 4 matches as a rule of thumb although there is discretion there. There’s also the Shots and key passes per 90 in the schedule too. 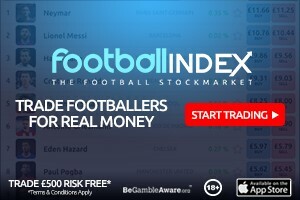 The stats are from the excellent free site understat.com and the values are as of Saturday 5 January. 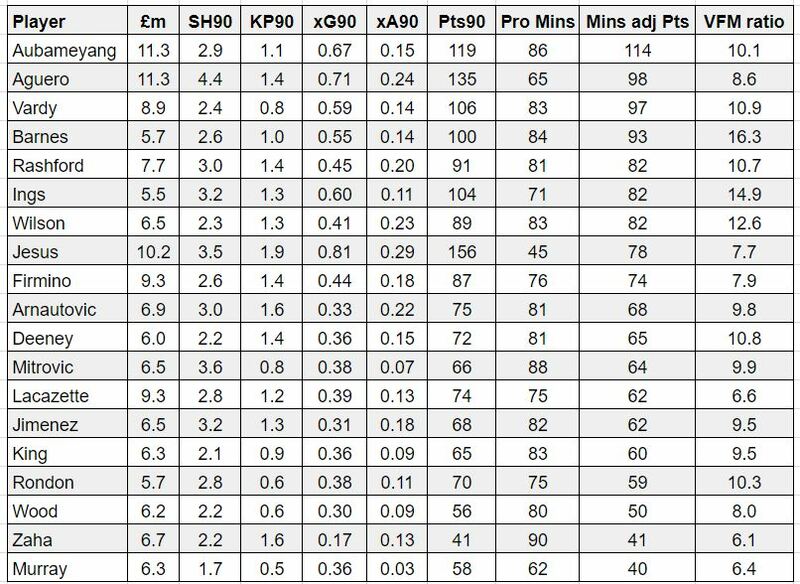 The players are ordered by projected FPL points that from the xG90 and xA90 stats to date assuming they played 38 games for 90 minutes. No minutes adjustment on this one. Only attacking stats not clean sheets or bonus.